Animal Friends is inviting you, the citizens of Pula, to visit the info stall that will be located on the Square of May 1, next to the market, on May 20. Apart from various educational printed materials, visitors will be able to obtain a new leaflet on the link between eating food of animal origin and ecological disasters, which Animal Friends has published in cooperation with Greenpeace. 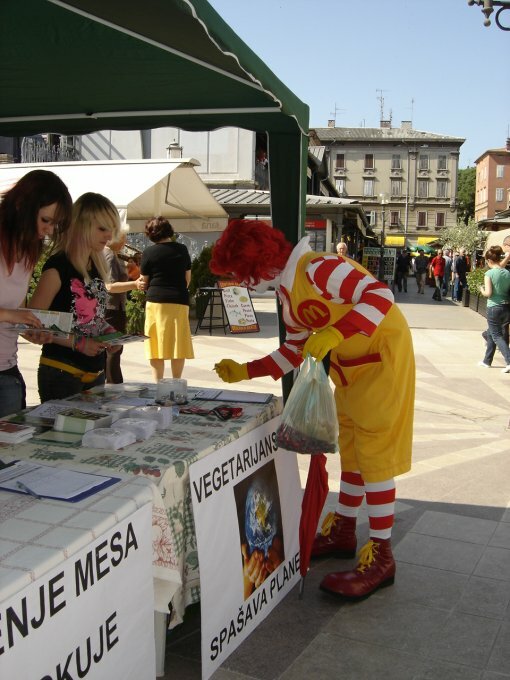 Visitors will also have the opportunity of signing various petitions and informing themselves on the advantages of meatless nutrition. The scientific brochure on "The Livestock Industry and the Climate – EU Makes Bad Worse," written by the Swedish member of the European Parliament, Jens Holm, and journalist Toivo Jokkala, will be available for free. Animal Friends also invites you to the projection of "Meat the Truth." 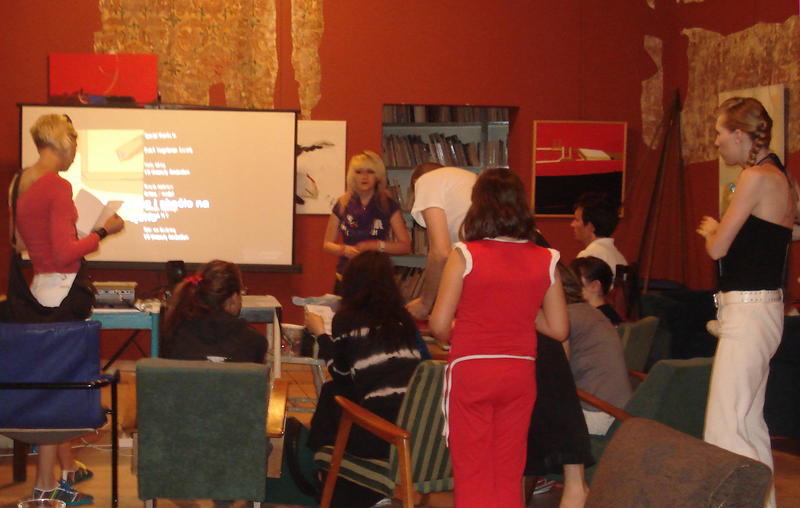 The film will be shown on the same day - May 20 - at 8:00 P.M. at Cvajner Gallery, Forum 2. Entry is free. "Meat the Truth" is an intriguing film about the climate changes that focus on one of the major causes of global warming, and that is factory farming. The problem of factory farming was thoroughly neglected in "An Inconvenient Truth," a film made by Al Gore. During the one hour film, we are being guided by Marianne Thieme, the president of Party for the Animals (Dutch political party), who shows us how cattle industry emits more glasshouse gasses than the total world traffic. 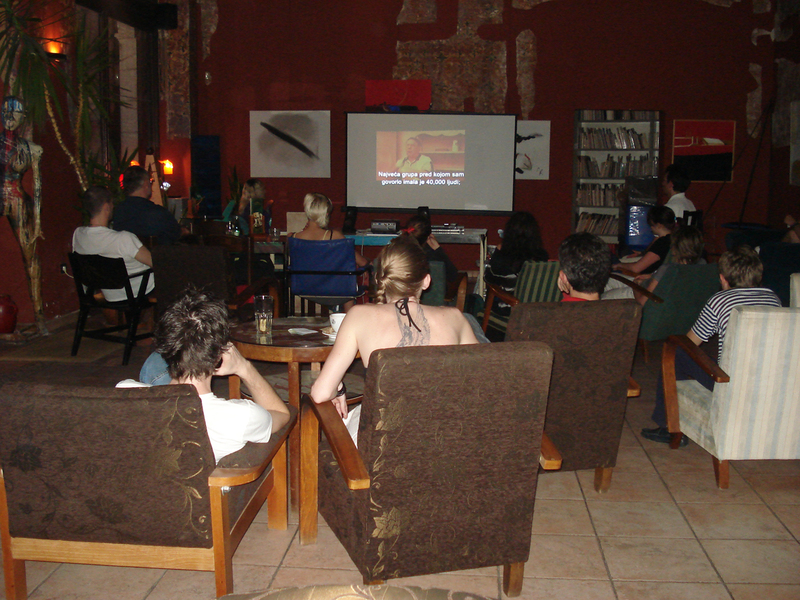 The analysis illustrated in this film was conducted by UN Food and Agriculture Organization, World Watch Institute, Institute for Environmental Studies in Amsterdam, and many other prominent institutions. By watching brief animations and talking to scientists, audience will see in which way consumption of meat and other animal products is responsible for such a vast emission of glasshouse gasses, and why is it destroying the climate. 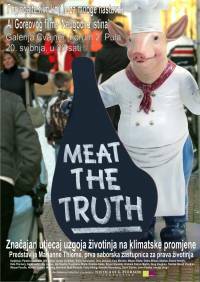 Unlike some other films on the same subject, "Meat the Truth" offers a solution to the consumers: simply by eating less or no meat at all, people can help reduce the emission of the glasshouse gasses. Large quantities of energy are wasted in producing artificial dung, clearing rain forest to obtain pastures, and producing food for the cattle. Together with the huge quantities of methane freed from the excrements, these factors place meat industry to the very top of all causes of global warming. Apart from global warming, there are other problems that urge humanity to change its eating habits. These problems include infectious diseases that are directly related to factory farming, such as BSE, bird flu and swine flu, which is still a threat to all of us.